I knitted each of the original series crew a tiny Christmas stocking for their party photo. 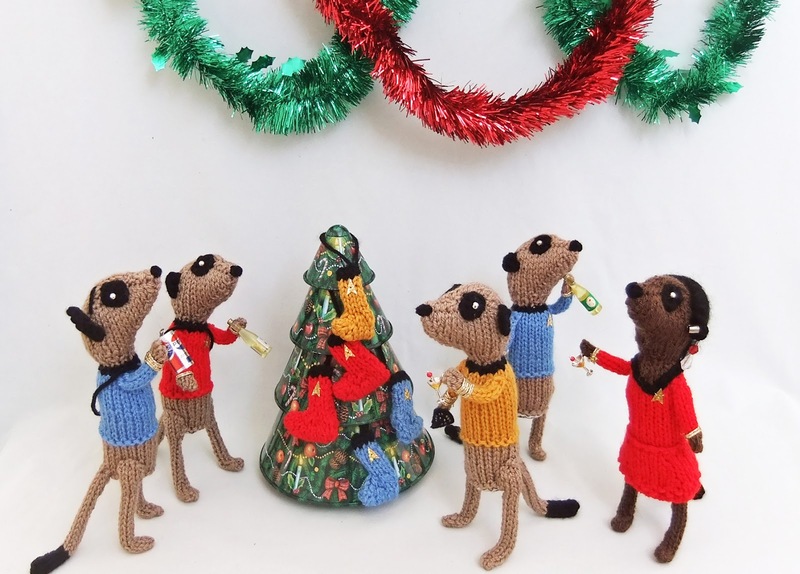 If you're thinking it's time you rehomed Kirk, Spock, Scotty, Uhura or Bones then now is the time - the next time each of these crew members goes to a new home they'll bring their own exclusive stocking. Don't worry, they're VERY small so you won't need to put much inside! I only knitted the 5 stockings you can see, so when they're gone they're gone.